This entry was posted in Business Email Compromise, Cisco Email Security, email, Malware, Phishing, security on April 18, 2019 by Bobby Guhasarkar. This entry was posted in apple, browser, Chrome, confiant, egobbler, Google, Google Chrome, iOS, iphone, malvertising, Malware, Mobile, Security threats, Web Browsers on April 18, 2019 by John E Dunn. This entry was posted in Computing, Data and computer security, laptops, Malware, Technology, viruses, Windows, Windows 10 on April 18, 2019 by Jack Schofield. 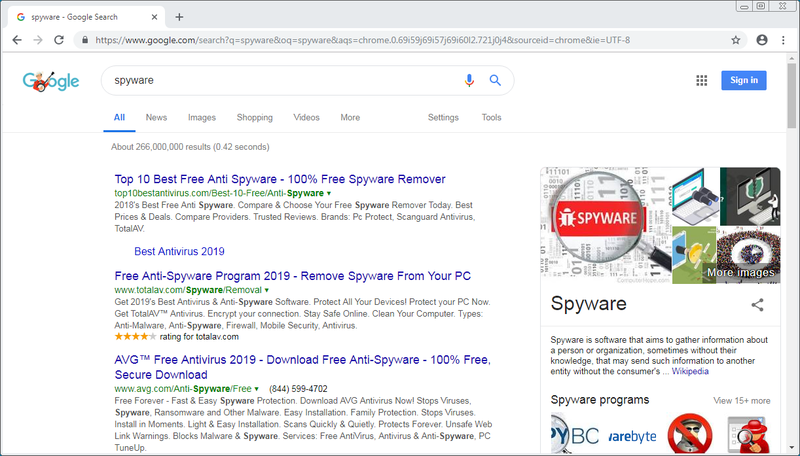 This entry was posted in Bayrob, botnet, eBay, Guest blog, Law & order, Malware on April 12, 2019 by Graham CLULEY. The post Excited about the Final Season of Game of Thrones? Be Careful Where You Watch It! 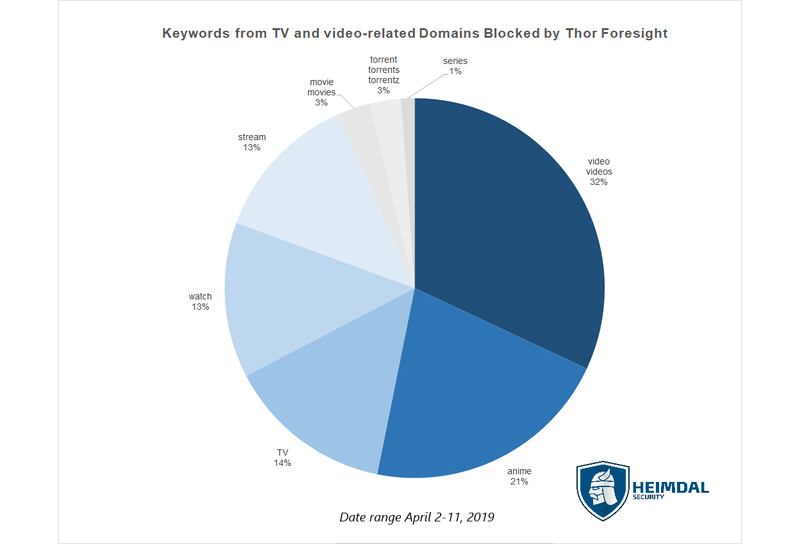 appeared first on Heimdal Security Blog. This entry was posted in data protection, Game of Thrones, Malware on April 12, 2019 by Bianca Soare. This entry was posted in Malware on April 9, 2019 by Romain Dumont. The post Emilia Clarke Is the Most Dangerous Game of Thrones® Celebrity appeared first on McAfee Blogs. This entry was posted in Consumer Threat Notices, cybersafety, Cybersecurity, Malware, Vulnerability on April 8, 2019 by Gary Davis. This entry was posted in Bashlite, Current News, IBM Collaboration Solutions, Industry 4.0, Luxoft, Malware, security, xloader on April 5, 2019 by Jon Clay (Global Threat Communications). This entry was posted in Data loss, Magecart, Malware, Ticketmaster, Vulnerability on April 5, 2019 by Graham CLULEY. This entry was posted in Malware on March 20, 2019 by Romain Dumont. This entry was posted in Consumer Threat Notices, cybersafety, Cybersecurity, Malware, online scams, Phishing on March 20, 2019 by Gary Davis. This entry was posted in Malware on March 11, 2019 by Marc-Etienne M.Léveillé. These days, we seem to have a newfound reliance on all things ‘smart.’ We give these devices the keys to our digital lives, entrusting them with tons of personal information. In fact, we are so eager to adopt this technology that we connect 4,800 devices per minute to the internet with no sign of slowing down. This is largely because smart devices make our lives easier and enjoyable. But even though these devices are convenient, it’s important to understand they’re also convenient for cybercriminals, given they contain a treasure trove of personal data. To examine how exactly these hackers plan on capturing that data, we at McAfee have taken a deep dive into the mobile threat landscape in this year’s Mobile Threat Report. In this report, we examine some of the most significant threat trends, including new spyware, mobile malware, and IoT attack surfaces. Let’s take a look at these trends and how you can keep all your devices protected. In our 2018 report, we predicted that attacks targeted toward mobile devices would increase, and everything from fake Fortnite apps to increased mobile malware has proven this to be true. However, two recent discoveries, Operation RedDawn and FoulGoal, prove just how targeted these attacks can really get. RedDawn, in particular, has set its sights on North Korean refugees, as the spyware attempts to copy photos, contacts, SMS messages, and other personal data belonging to the victim. The latter attack, FoulGoal, actually occurred during last year’s World Cup, as the campaign used an app called Golden Cup to install spyware on victims’ devices. This app promised users live streams of games from the Russian 2018 FIFA World Cup, as well as a searchable database of previous World Cup records. In addition to stealing the user’s phone number, device details, and installed packages, FoulGoal also downloaded spyware to expand its infection into SMS messages, contacts, GPS details, and audio recordings. Our smartphones are now like remote controls for our smart homes, controlling everything from lights to locks to kitchen appliances. So, it was only a matter of time before cybercriminals looked for ways to trick users into leaving open a virtual backdoor. Enter TimpDoor, an Android-based malware family that does just that. First appearing in March 2018, it quickly became the leading mobile backdoor family, as it runs a SMiShing campaign that tricks users into downloading fake voice-messaging apps. These virtual backdoors are now an ever-growing threat as hackers begin to take advantage of the always-connected nature of mobile phones and other connected devices. Once distributed as Trojanized apps through apps stores, like Google Play, these backdoors can come disguised as add-on games or customization tools. And while most are removed fairly quickly from app stores, hackers can still pivot their distribution efforts and leverage popular websites to conceive a socially engineered attack to trick users into enabling unknown sources. Around the world, there are already over 25 million voice assistants, or smart speakers, in use. From simple queries to controlling other IoT gadgets throughout the home, these devices play a big role in our living environments. But many of these IoT devices fail to pass even the most basic security practices, and have easily guessable passwords, notable buffer overflow issues, and unpatched vulnerabilities. This makes voice assistants an increasingly valuable and potentially profitable attack vector for cybercrime. For a typical voice assistant in the home, the attack surface is quite broad. Cybercriminals could gain access to the microphone or listening stream, and then monitor everything said. Additionally, they could command the speakers to perform actions via other speaker devices, such as embedding commands in a TV program or internet video. Crooks could even alter customized actions to somehow aid their malicious schemes. However, some of the most pressing vulnerabilities can come from associated IoT devices, such as smart plugs, door locks, cameras, or connected appliances, which can have their own flaws and could provide unrestrained access to the rest of the home network. Delete apps at the first sign of suspicious activity. If an app requests access to anything outside of its service, or didn’t originate from a trusted source, remove it immediately from your device. Protect your devices by protecting your home network. While we continue to embrace the idea of “smart homes” and connected devices, we also need to embrace the idea that with great connectivity, comes great responsibility to secure those connections. Consider built-in network security, which can automatically secure your connected devices at the router-level. Keep your security software up-to-date. Whether it’s an antivirus solution or a comprehensive security suite, always keep your security solutions up-to-date. Software and firmware patches are ever-evolving and are made to combat newly discovered threats, so be sure to update every time you’re prompted to. Better yet, flip on automatic updates. Change your device’s factory security settings. When it comes to products, many manufacturers don’t think “security first.” That means your device can be potentially vulnerable as soon as you open the box. By changing the factory settings you’re instantly upping your smart device’s security. The post Open Backdoors and Voice Assistant Attacks: Key Takeaways from the 2019 Mobile Threat Report appeared first on McAfee Blogs. This entry was posted in Cybersecurity, Malware, Mobile and IoT Security, mobile app, Mobile Security on February 26, 2019 by Radhika Sarang. Today, we are all pretty reliant on our mobile technology. From texting, to voice messaging, to mobile banking, we have a world of possibilities at our fingertips. But what happens when the bad guys take advantage of our reliance on mobile and IoT technology to threaten our cybersecurity? According to the latest McAfee Labs Threats Report, cybercriminals are leveraging fake apps and banking trojans to access users’ personal and financial information. In fact, our researchers saw an average of 480 new threats per minute and a sharp increase in malware targeting IoT devices during the last quarter. Let’s take a look at how these cyberthreats gained traction over the past few months. While new mobile malware declined by 24% in Q3, our researchers did notice some unusual threats fueled by fake apps. Back in June, we observed a scam where crooks released YouTube videos with fake links disguised as leaked versions of Fortnite’s Android app. If a user clicked on the link to download this phony app, they would be asked to provide mobile verification. This verification process would prompt them to download app after app, putting money right in the cybercriminals’ pockets for increased app downloads. Another fake app scheme that caught the attention of our researchers was Android/TimpDoor. This SMS phishing campaign tricked users into clicking on a link sent to them via text. The link would direct them to a fabricated web page urging them to download a fake voice messaging app. Once the victim downloaded the fake app, the malware would begin to collect the user’s device information. Android/TimpDoor would then be able to let cybercriminals use the victim’s device to access their home network. Our researchers also observed some peculiar behavior among banking trojans, a type of malware that disguises itself as a genuine app or software to obtain a user’s banking credentials. In Q3, cybercriminals employed uncommon file types to carry out spam email campaigns, accounting for nearly 500,000 emails sent worldwide. These malicious phishing campaigns used phrases such as “please confirm” or “payment” in the subject line to manipulate users into thinking the emails were of high importance. If a user clicked on the message, the banking malware would be able to bypass the email protection system and infect the device. Banking trojans were also found using two-factor operations in web injects, or packages that can remove web page elements and prevent a user from seeing a security alert. Because these web injects removed the need for two-factor authentication, cybercriminals could easily access a victim’s banking credentials from right under their noses. Go directly to the source. Websites like YouTube are often prone to links for fake websites and apps so criminals can make money off of downloads. Avoid falling victim to these frauds and only download software straight from a company’s home page. Click with caution. Only click on links in text messages that are from trusted sources. If you receive a text message from an unknown sender, stay cautious and avoid interacting with the message. Use comprehensive security. Whether you’re using a mobile banking app on your phone or browsing the internet on your desktop, it’s important to safeguard all of your devices with an extra layer of security. Use a robust security software like McAfee Total Protection so you can connect with confidence. And, of course, to stay on top of the latest consumer and mobile security threats, be sure to follow me and @McAfee_Homeon Twitter, listen to our podcast Hackable? and ‘Like’ us on Facebook. The post The Results Are In: Fake Apps and Banking Trojans Are A Cybercriminal Favorite appeared first on McAfee Blogs. This entry was posted in app security, Consumer Threat Notices, Malware, Quarterly Threats Report on December 19, 2018 by Gary Davis. OCLC.exe: Used to read a list of targeted computers created by the attackers. This tool is responsible to run the second tool, spreader.exe, with the list of each targeted machine. Spreader.exe: Used to spread the file eraser in each machine previously set. It also gets information about the OS version. SpreaderPsexec.exe: Similar to spreader.exe but uses psexec.exe to remotely execute the wiper. SlHost.exe: The new wiper, which browses the targeted system and deletes every file. This first component (OCLC.exe) reads two text files stored in two local directories. Directories “shutter” and “light” contain a list of targeted machines. This entry was posted in Advanced persistent threats, Advanced Threat Research, endpoint protection, Malware, McAfee Labs, Phishing on December 19, 2018 by Thomas Roccia. This entry was posted in Advanced Threat Research, Cybersecurity, endpoint protection, Malware, McAfee Labs, Quarterly Threats Report on December 18, 2018 by Raj Samani. This entry was posted in Advanced persistent threats, Advanced Threat Research, endpoint protection, Malware, McAfee Labs on December 14, 2018 by Alexandre Mundo. This entry was posted in Advanced persistent threats, Advanced Threat Research, Cybersecurity, Malware, McAfee Labs, Phishing on December 12, 2018 by Ryan Sherstobitoff. Pay-per-install, or PPI for short, is a type of software program that presents users with third-party offers while they are in the middle of another download. If a user clicks on the third-party advertisement, the software developer earns money from the download. One specific PPI program has caught the attention of our McAfee ATR team, as they recently investigated a company that has taken advantage of this software and is using deceptive techniques to spread malicious files. Meet WakeNet AB, a Swedish pay-per-install software developer that has generated a large amount of revenue – even more so than some of the most prevalent ransomware families – from spreading PUPs (potentially unwanted programs). So, how does WakeNet AB infect users’ devices with PUPs? WakeNet sets up PPI sites to entice affiliate hackers to spread malicious files and adware. WakeNet’s most recent distribution vessel is the site FileCapital. FileCapital provides affiliate hackers with a variety of “marketing tools” such as embedded movies, landing pages, banners, and buttons. These deceptive tools are intended to coax victims into installing bundled applications that house different PUPs. Victims may install these applications because they are disguised as legitimate programs. For example, a user may think they are installing a helpful performance cleaner onto their computer. What they don’t know is that the “performance cleaner” is actually disguising other malicious files that could lead to irritating adverts and decreased computer performance. Click with caution. Be wary of pop-ups and websites asking you to click on items like movie playbacks and other software downloads. These items could infect your device with annoying adverts and malware. Only download software from trusted sources. If you receive a pop-up asking you to update or install software, be vigilant. Adware and PUPs are often disguised as legitimate sites or software companies. Your best bet is to play it safe and go directly to the source when updating or installing new software. Use a robust security software. Using a security solution like McAfee Total Protection could help protect your device from exposure to PUPs that have been spread by WakeNet’s FileCapital. McAfee Total Protection blocks auto-play videos on websites that decrease computer performance and warns you of risky websites and links. And, as always, to stay on top of the latest consumer and mobile security threats, be sure to follow me and @McAfee_Home on Twitter, listen to our podcast Hackable?, and ‘Like’ us on Facebook. The post Software Company WakeNet AB Discovered Spreading PUPs to Users appeared first on McAfee Blogs. This entry was posted in Consumer Threat Notices, cybersafety, Cybersecurity, Malware on December 3, 2018 by Gary Davis.